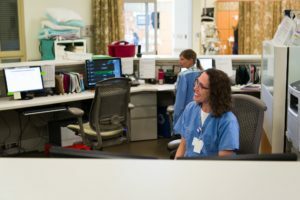 CMMC is fully equipped and staffed twenty-four hours a day, seven days a week with physician, registered nursing staff, and social service coverage. For information call (406) 535-6220. For emergencies call 911. CMMC received designation as a Level IV Trauma center. What this means, an organized trauma response team is activated by our emergency department, ensuring prompt assessment, resuscitation, stabilization, emergency operations, and arrangement of patient transfer. This State trauma status requires that CMMC have a trauma medical director, an anesthetist, an operating room, a fast response system and on-call lab and x-ray services. Physicians must be Advanced Trauma Life Support certified. CMMC must have equipment for all age groups and lab services for procedures of cross-matching blood. A helipad and intensive care unit is not required, but CMMC has these added services. This trauma treatment process allows CMMC to transfer serious injured patients to a Level II Trauma Center in Great Falls or Billings. 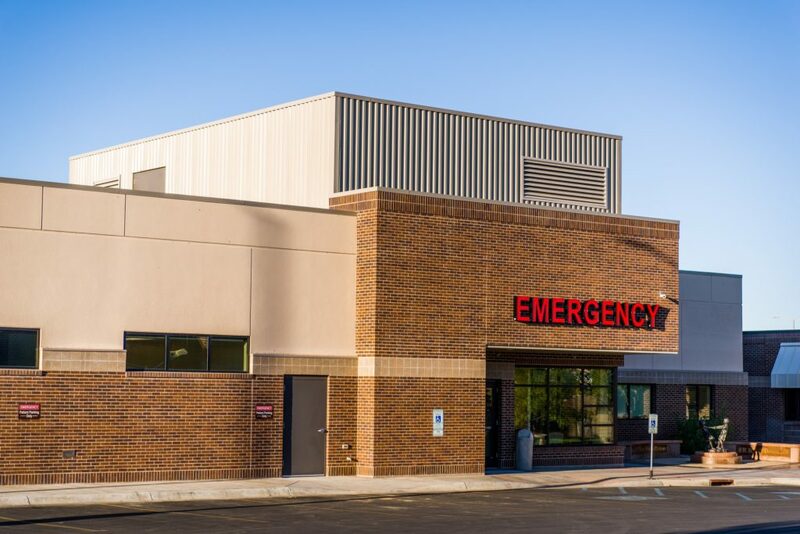 Trauma patients are entered into a Montana Trauma system registry which provides further Quality Performance and Improvement reviews and feedback. Another necessary component is community outreach that involves prevention education. Hospitals may receive trauma designations from Level V to Level I, with Level I being the highest level of care. There are no Level I trauma hospitals in Montana. Re-designation is required every 3 years to ensure all requirements are being met. This Level IV trauma assures local residents that appropriate, quality trauma care is available at CMMC 24-7. Central Montana Medical Center offers ambulance service 24-hours a day, seven days a week, to the tri-county area of Fergus, Judith Basin and Petroleum counties. 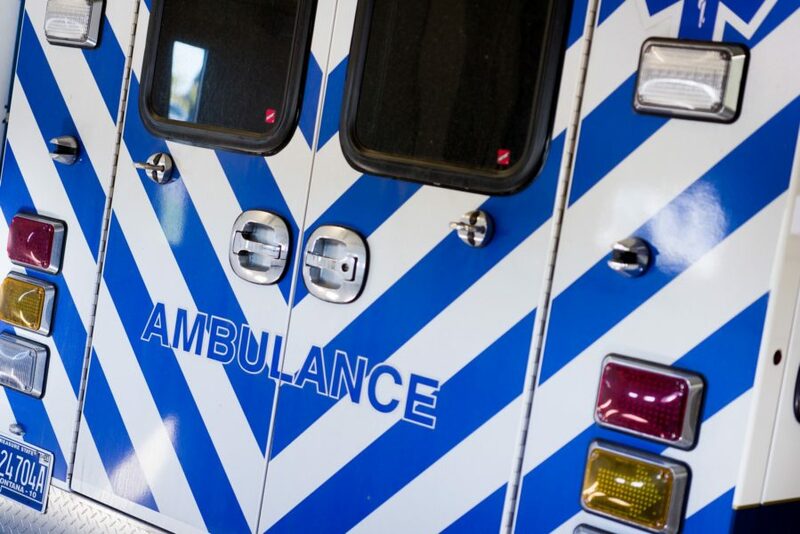 Our service is staffed with AEMT’s, NREMP-I99 and NREMT-P providers. .
Central Montana has experienced a steady increase for ambulance service the past ten years. There are many factors that contribute to this increase, and CMMC has made necessary changes to ensure the people of Central Montana receive consistent high quality ambulance service. Our response to this demand has meant significant changes in the day to day Ambulance operation. In the past, CMMC ambulance was provided strictly by part paid Volunteer Ambulance personnel who responded first to ambulance then to the scene to begin caring for the patient. This type of operation worked well for many years until the call volume eceeded 650 calls per year. In October 2009, Paramedics were introduced to the service to reinforce staffing coverage on weekends. These Great Falls & out of town Paramedics have years of experience in the field. They are also instructors/faculty at Montana State University College of Technology in Great Falls. Their expertise and professionalism has been outstanding for CMMC’s Ambulance service development. In 2015, Lewistown added several local Paramedics who are a great asset to the service. While, CMMC’s Ambulance operation is a mix of full/part-time, the majority of the staff is volunteer part paid personnel. In January of 2010, the day shift began staffing with two, full-time primary 911 crew, one Paramedic or Intermediate-99 and an AEMT. Both day shift and night shift are staffed with part paid personnel as back-up and transfer crew. Both back up and transfer crews became a necessity, because of increasing calls occurring at the same time. SImultaneous calls are an operational challenge requiring more resources and personnel. Central Montana Ambulance service has been and continues to be well supported by Central Montana Medical Center Board of Directors, administration, Medical Director: Dr. Amy LePage, emergency physicians and ambulance personnel. Everyone is committed to ensuring your call gets answered. For information contact Rick Poss, (406) 535-6294. 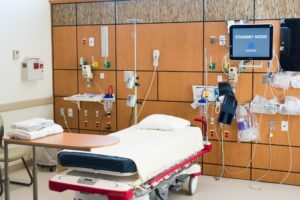 Our urban hospital is pleased to partner with the Montana Telestroke Project which allows CMMC’s emergency department to bring a stroke specialist on site via internet-based audio/video equipment called the: Stroke Doc. This wireless link enables a stroke specialist to examine brain images, scan test results and observe symptoms of a possible stroke patient. The Telestroke Project offers 5 stroke neurologists allowing for 24/7 coverage.